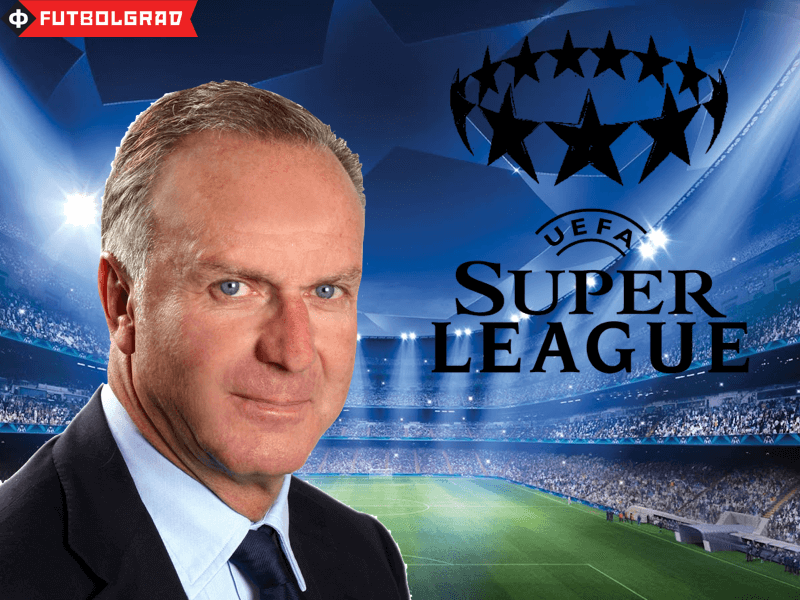 Rummenigge also suggested that some of the games of a new European top competition could be played in Asia and the United States in order to generate more income. Rummenigge’s turnaround reflects changes to recent market dynamics. In February 2015, the English Premier League signed a new television deal worth £5.14 billion for three seasons. Clubs from the other major European competitions—including Rummenigge’s club Bayern Munich—have expressed some concern that they could be left behind financially—behind even smaller English clubs due to the new television revenue in English football. In Eastern Europe, the Russian Football Premier League has also been able to benefit from inflated Premier League prices, as the departure of Solomon Rondon from Zenit Saint Petersburg to West Bromwich Albion for €17 million, Baye Oumar Niasse from Lokomotiv Moscow to Everton FC for €17 million, and José Manuel Jurado from Spartak Moscow to FC Watford for €8.6 million highlight. Similar transactions can be seen in various other leagues across the continent as clubs have simply adjusted their transfer demands when English clubs come knocking at the door. Hence, the recent suggestion to reform the UEFA Champions League must be understood as an adjustment to market dynamics that have developed with the rising of the Chinese Super League. This winter Chinese Super League teams have spent €311.69 million for new players, which makes it the highest spending league during the winter transfer window. 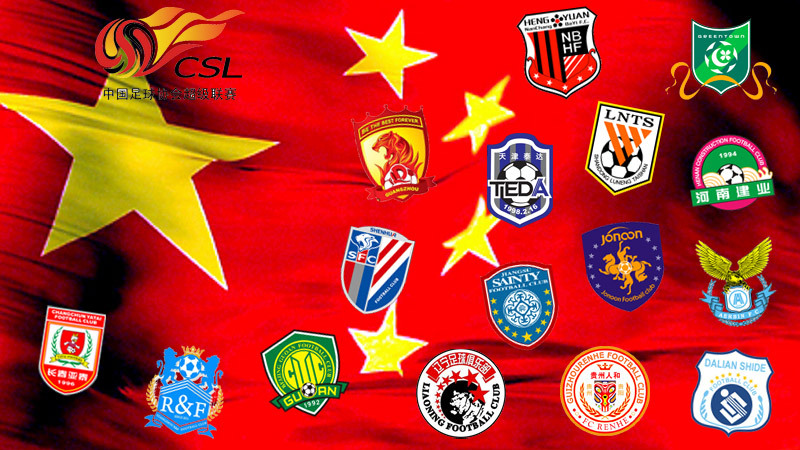 With a population of 1.3 billion people, the Chinese market could easily support a football league that would not only rival the top European leagues, but could—in theory—financially outmuscle them in the long term. Hence, the lobbying for a new European Super League must in some ways be understood as a kneejerk reaction by Europe’s biggest clubs to new market realities that have been brought in by the football boom in China. On the one hand, the formation of a European Super League would certainly create a competition that would be unrivalled by any league in the world. On the other hand, as Doncaster pointed out, the notion that only major clubs from France, Germany, Spain, Italy, and England would be included on a permanent basis would mean that several historic European clubs, for the most part would be excluded. Some statements by the big clubs suggest that a potential Super League would include several permanent members, as well as clubs that qualify through national competitions. 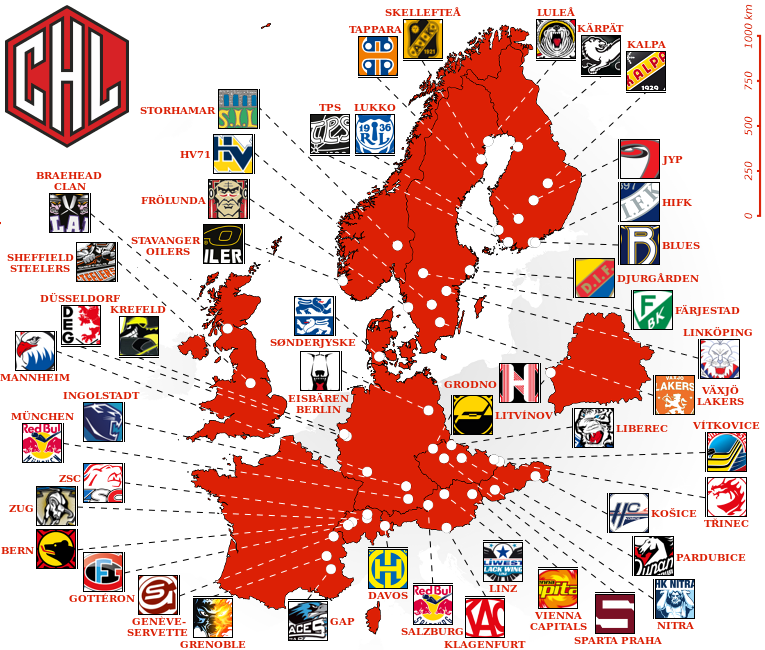 This would mean that the league would become a similar model to Europe’s ice hockey competition, the Champions Hockey League (CHL). In the CHL some clubs are actually shareholders of the competition, and are therefore guaranteed a starting place no matter where they finished in the domestic competition. But such a format would lead to a further cementation of Europe’s top class, and would make it very difficult for up and coming teams to break into Europe’s football elite. Such a competition would also make it difficult for the majority of clubs from Eastern Europe. In Russia, the only club that could have the option of a permanent seat a the Super League table would be Zenit Saint Petersburg because the club’s owner Gazprom—a current Champions League sponsor—could financially buy its way into such a competition. 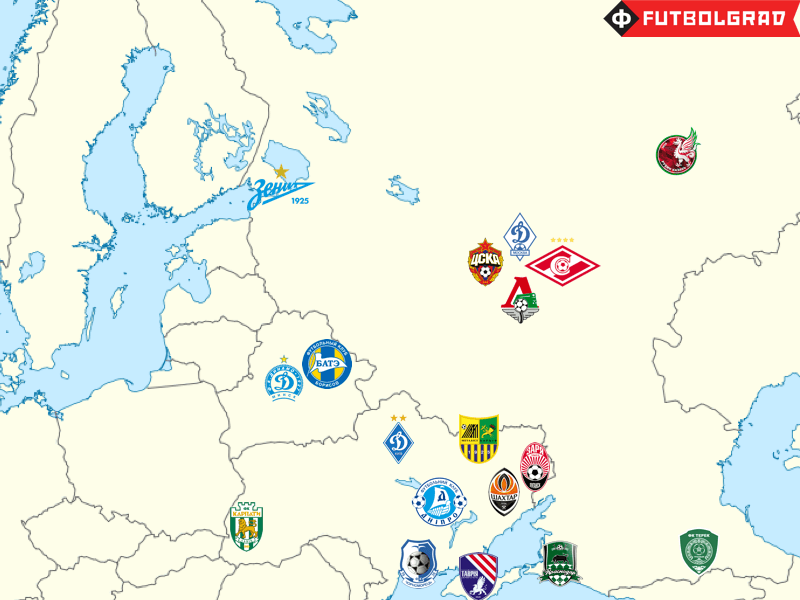 Other Russian clubs would most likely find themselves on the outside. The picture is even bleaker in Ukraine, which is the second largest post-Soviet republic. In the late 1990s Dynamo Kyiv was one of the most exciding teams in Europe and would have been considered a shoe-in for a European Super League, but years of no titles in the 2000s as well as a recent racism scandal have damaged the club’s reputation as a European top club. Misfortune has also befallen Shakhtar Donetsk—the conflict in the Donbass has meant that the club has turned from one of the most exciting football projects in Europe to a team with a doubtful future. The landscape would become even harsher in some of the other post-Soviet republics. In the Caucasus, at present, most fans now support clubs from the English Premier League, La Liga, the Bundesliga, and the Serie A. Locals often refuse to watch domestic competitions on television or in the stadium, and the creation of a globalized league would only exacerbate this problem. Not only historic clubs like Dinamo Tbilisi, Dinamo Minsk, but also newer clubs such as BATE Borisov, would find themselves on the outside. 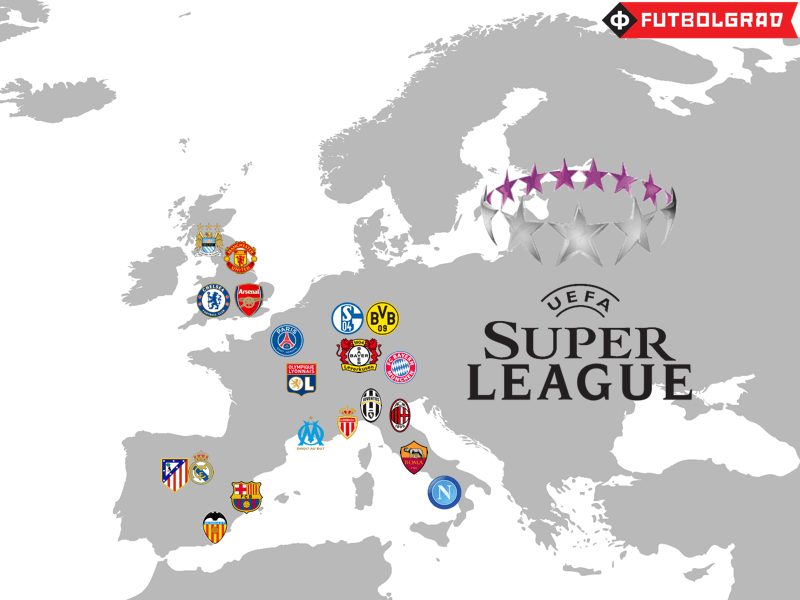 Hence, the creation of a European Super League would exclude club football in large parts of the European continent. Yet the notion of reforming European football is not necessarily a bad one. Indeed, much could be done to level the competitive balance of Europe’s football. In September 2015 Futbolgrad reported that some UEFA member states were contemplating the creation of a new European cup competition for clubs that have dropped out in the early stages of the Europa League and Champions League qualifiers. Smaller countries, from Eastern Europe especially, supported the creation of this kind of competition. The idea was to have clubs, which failed to reach the group stage of the Europa League and Champions League, play in regional competitions. Such competitions have in fact existed in the past: Between 1927 and 1991 clubs from Central Eastern Europe organized a regional competition called the Mitropa Cup (the cup survives to the present day as an amateur competition). Between 2007 and 2011 the top clubs from Latvia, Lithuania, and Estonia competed in the Baltic League. Another example is the Commonwealth of Independent States (CIS) Cup, which was an international tournament played every winter between the champions of the former Soviet Republics, and was last held in 2011 when Azerbaijan’s Inter Baku lifted the trophy. 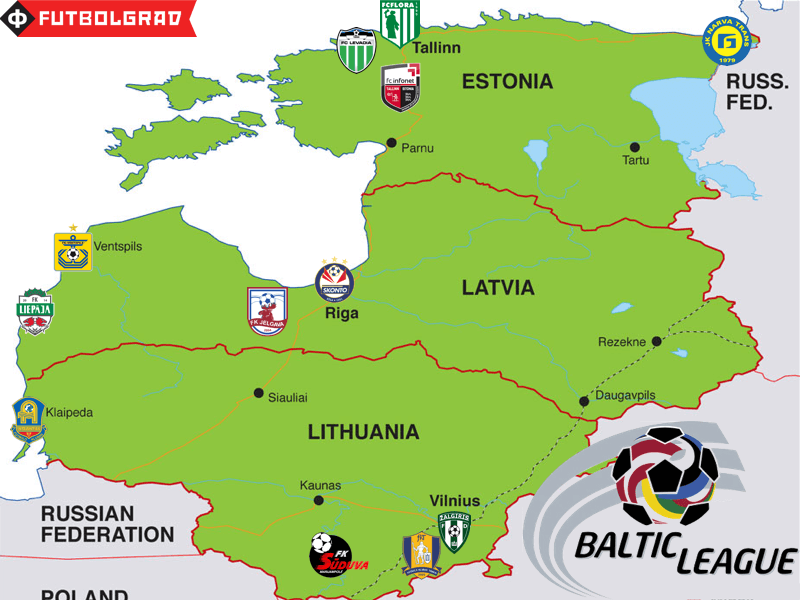 A more permanent Baltic League could help to make football more competitive in the Baltic nations. But this could even be taken a step further by merging smaller leagues on a more permanent basis in order to create leagues that could rival the top competitions in England, Germany, Spain, and Italy. The economist Stefan Szymanski, for example, argued in his latest book “Money and Soccer” that the creation of new international championships might be the best way to close the financial gap between clubs from the big powerhouse leagues and clubs from smaller European competitions. There are currently 54 UEFA member states, but many of the member states are too small to have top divisions that can compete with Europe’s best leagues—in a recent example Armenia’s Premier League is currently struggling to find more than seven professional teams to compete in its league structure. As part of their support for Catalonian independence, FC Barcelona has proposed the creation of an Iberian Super League that would include clubs from Spain and Portugal. In Great Britain, the two major Scottish teams have seriously discussed joining the English Premier League—which is already home to Welsh clubs—and before the conflict in the Donbass, Russian and Ukrainian clubs seriously considered the creation of a post-Soviet Super League. In the Balkans, clubs could follow the lead of the ABA League—a Balkan wide Basketball league—and resurrect the former Yugoslav First Division. 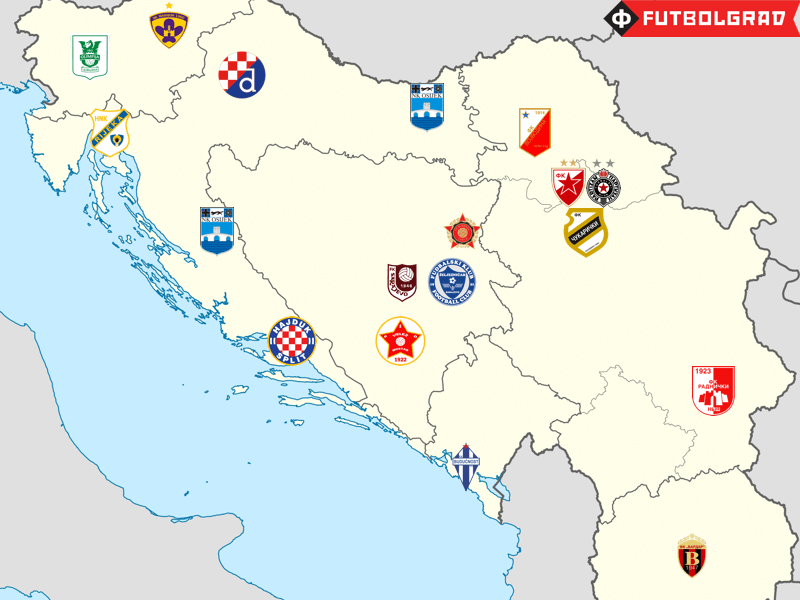 The biggest obstacle to a unified Balkan football league would be the violent history of the Yugoslav wars, but the example of basketball demonstrates that such a league could work (for more on a potential Balkan League read Chris Etchingham’s In Bed With Maradona article here). Hence, UEFA could contemplate allowing the merging of some of Europe’s smaller leagues, and turn Europe into a region of 54 first divisions to a more manageable number. The top placed teams of the regional leagues could then still compete in the UEFA Champions League, and the Europa League. The debate over a new European Super League, therefore, could be an opportunity to discuss changes to the current competitions that exist in European football with the goal to create more financial parity not just between the major European clubs, but also for historic clubs that are not playing in a top four European league. Even if this means that some historic competitions could soon become history, football in all of Europe could benefit. Manuel Veth is a freelance journalist, and PhD candidate at King’s College London. Originally from Munich, Manuel has lived in Amsterdam, Kyiv, Moscow, Tbilisi, London, and currently is located in Victoria BC, Canada. His thesis is entitled: “Selling the People’s Game: Football’s transition from Communism to Capitalism in the Soviet Union and its Successor States”, and will be available to readers later this year. Follow Manuel on Twitter @homosovieticus.